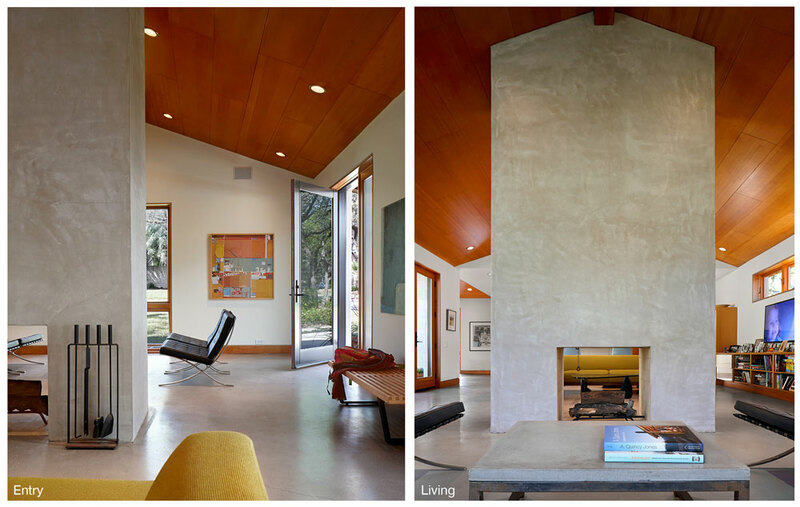 On April 8, the Modern Architecture + Design Society opens the doors to the 2017 San Antonio Modern Home Tour. 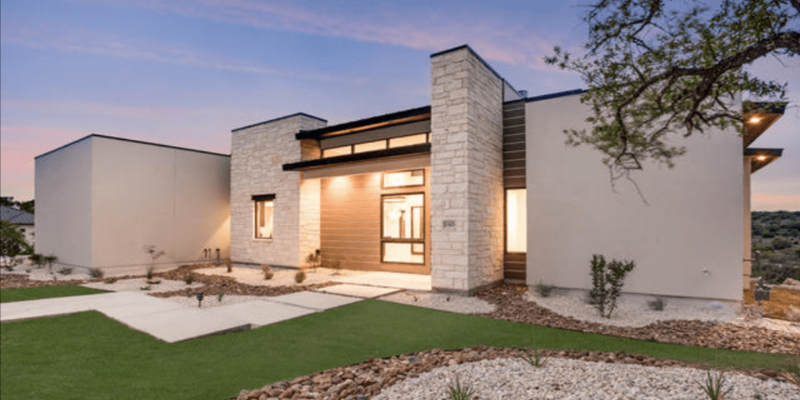 This is your chance to tour the properties, meet the architects, and talk to the homeowners of some of San Antonio’s most forward-looking home designs! TICKET SALES HAVE NOW ENDED, BUT CAN BE PURCHASED AT ANY TOUR HOME BETWEEN 11AM AND 4PM FOR $40 EACH. TO SEE ADDRESSES, SCROLL DOWN TO THE MAP BELOW AND CLICK ON ANY HOME NUMBER. THANKS FOR SUPORTING LOCAL SAN ANTONIO ARCHITECTURE + DESIGN, AND WE LOOK FORWARD TO SEEING YOU ON THE TOUR! 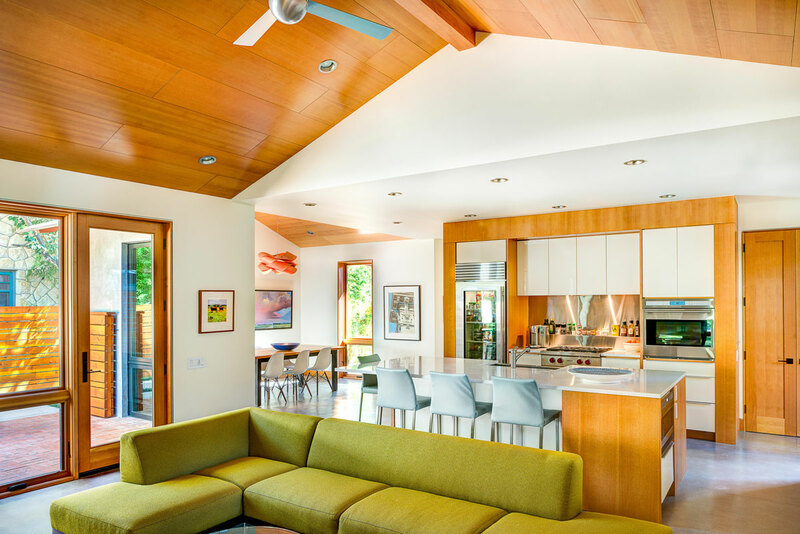 Presented by Craig McMahon Architects, Inc. The Modern Architecture + Design Society is thrilled to be returning to San Antonio for 2017! From 11am to 4pm, enjoy your visit to these exceptionally unique idea of what “modern” means today. Then, at 4pm, be sure to head to our fifth location (home at left) for an interactive talk with the architect and interior designer of Adam Wilson Homes’ latest project, where you’ll learn exactly what “modern” can mean today. Thanks for your support, and we can’t wait to see you on April 8th! 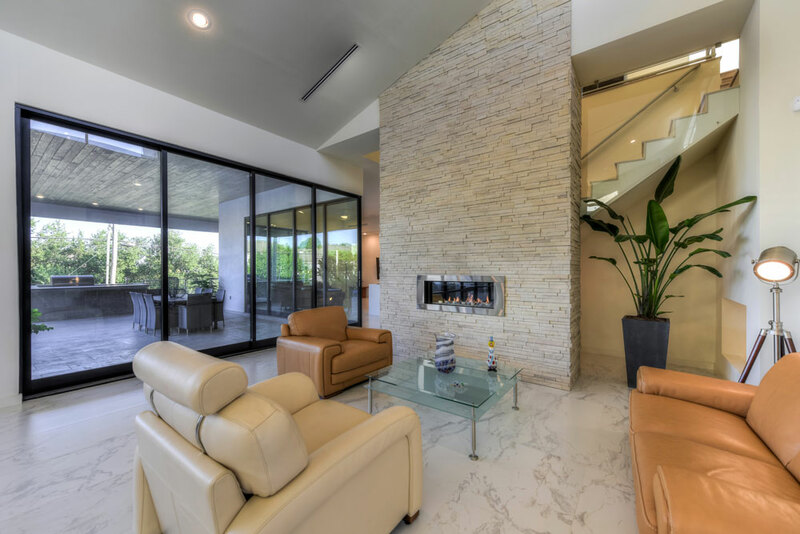 This luxurious hilltop modern home sits in the Dominion, Northwest San Antonio. 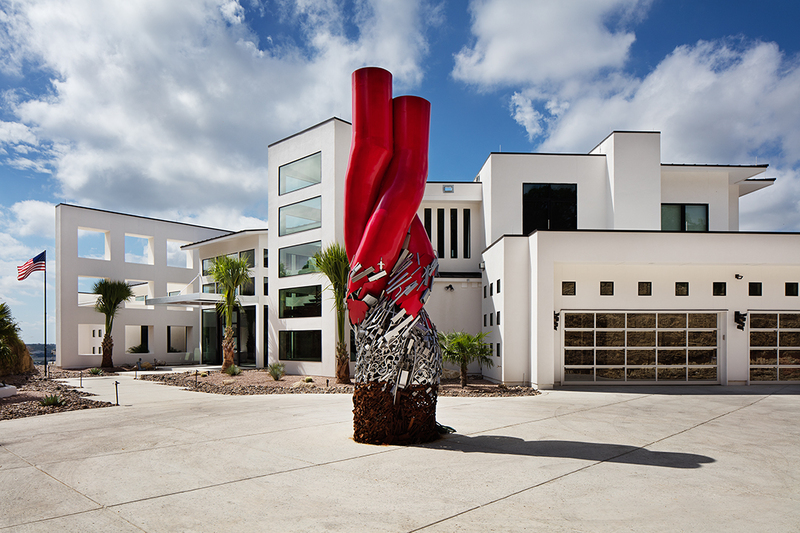 This beautiful two-story home is truly a piece of art. 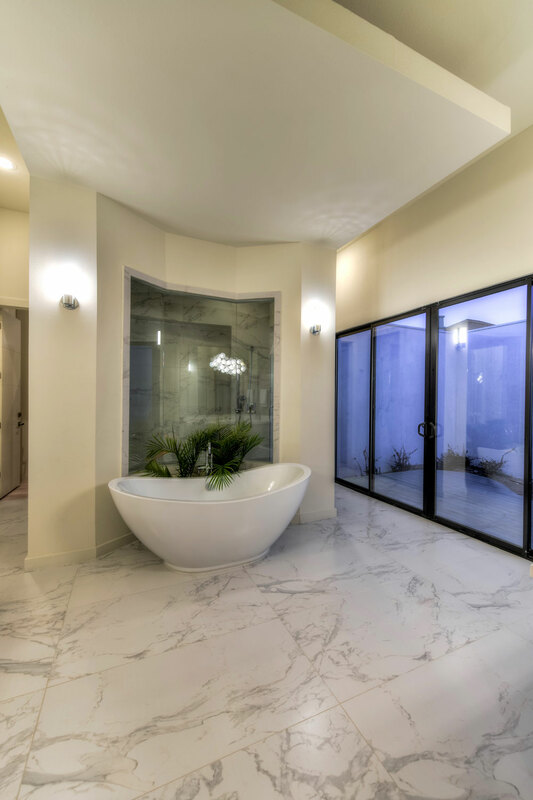 It was designed closely with the homeowner and builder who were involved in every single detail. 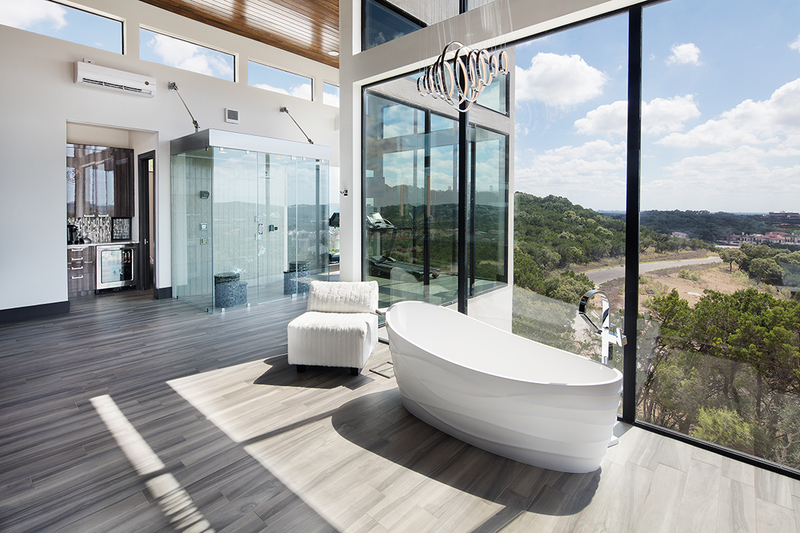 A lot of time was spent considering the home’s design and layout so that you could enjoy the beautiful hill country views from almost every room and use as much natural light all while maintaining the modern design features. There was also a lot of time spent on every single detail from the metal art structure in the front entrance of the home down to the final finishes and interior design touches. The home features a dream master bedroom and master bath with double sided fire place and floor to ceiling windows with beautiful sunset views. It also features a game room, two gyms, flex space, study, floating staircase, four car garage, upstairs covered terrace, open dining room, kitchen and living room which open up to outdoor living space and covered patio. 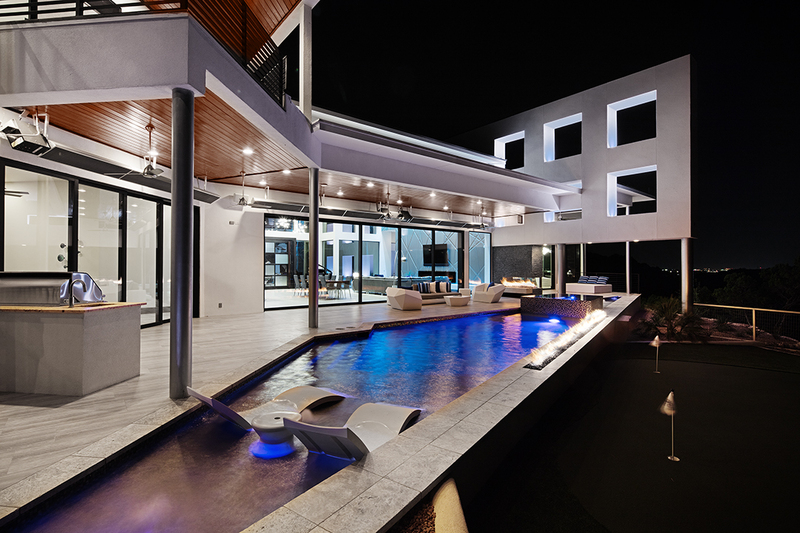 The outdoor living space includes a pool with fire features and even mini golf. 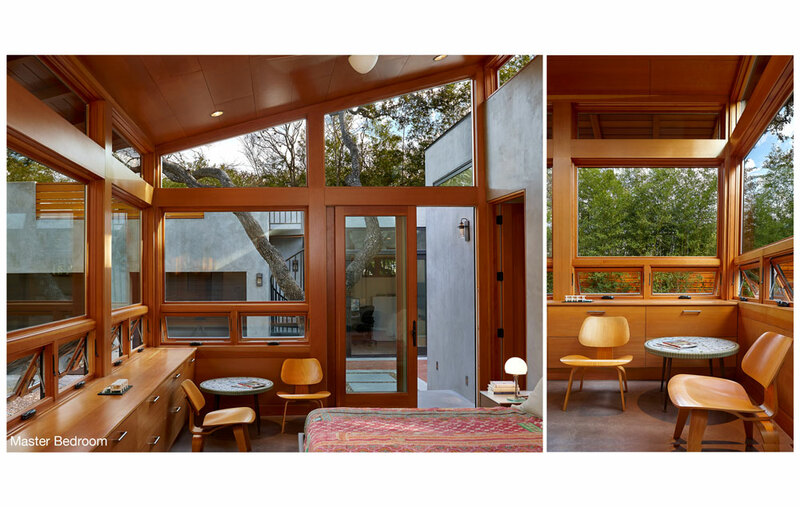 This space creates a feeling of being outside even when you are sitting inside the home and vice versa. This is a true modern dream home just about anyone can fall in love with. The Sostre residence on Sleepy Hollow was a house remodel project designed and built by Cesar Sostre for his parents, Cesar Sostre & Guenola Odio. 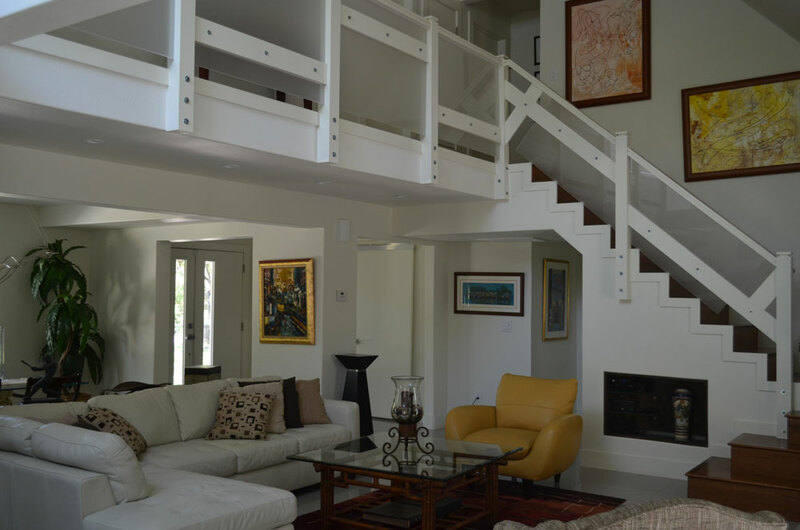 The project consisted of stripping down the old look of the home and modernizing the floorplan and exterior to fit the taste and needs of Cesar & Guenola. 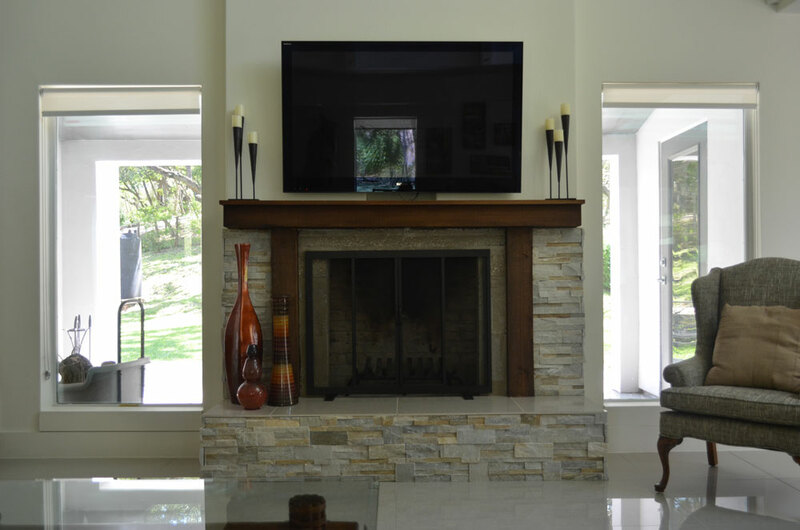 They wanted to both showcase Cesar’s artistic vision and incorporate their wishlist for their dream home. The 2000 s.f. home was purchased for a Design/Build opportunity by the Architect for a downsizing experiment and exploration of a different way of living on the similar sized lots of this neighborhood. Frustrated with the zoning restrictions and wedding cake styled overbuilt homes built to maximize resale, the project became a personal goal to build and finance a one story modern home without sacrificing space or finish quality, showing that a small home can live larger than its size and be equally open and inviting providing spaces and living arrangements normally found on much larger properties. 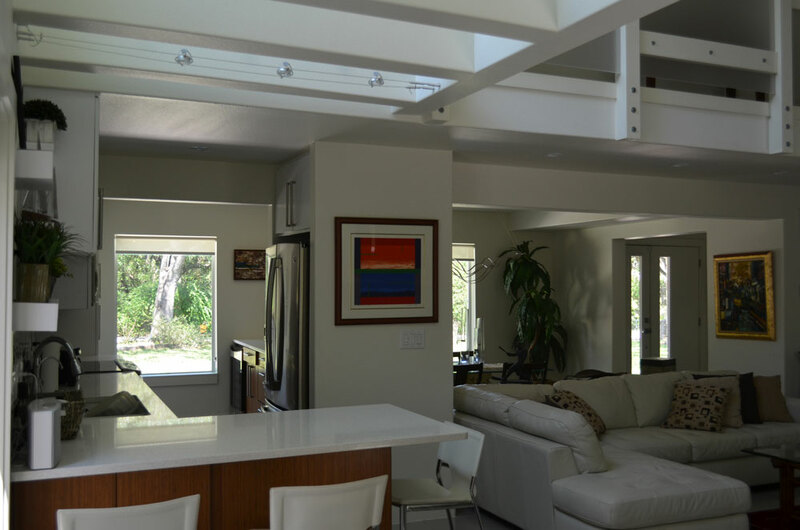 The original 1200 s.f home was found to have been a prototype for residential concrete construction by a local experimental builder in the 50’s that included tilt wall exterior panels and solid 4″ concrete interior walls. Respecting the concrete history and character became part of the design and construction process. 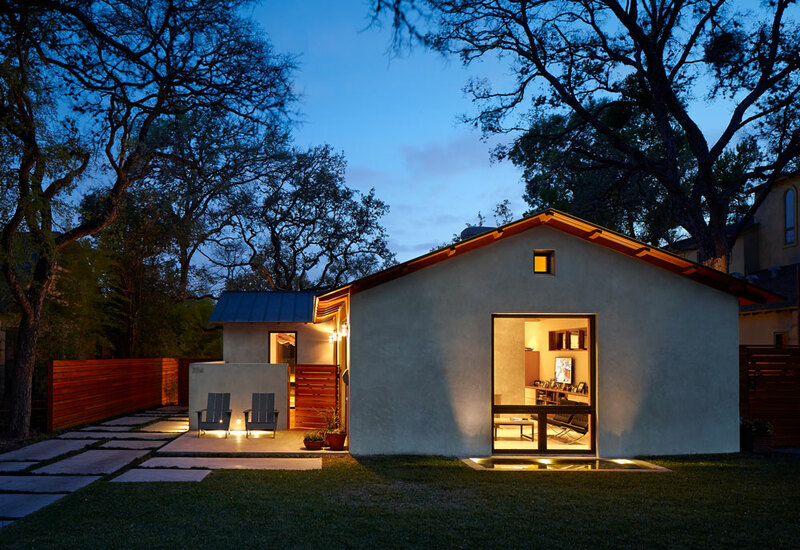 The original home’s exterior shape and roof line worked well for public spaces and the bedroom addition followed with a harmonious connection focusing on respecting the original concrete character- balanced with lighter wood roof and rainscreen douglas fir wall detailing. As the zoning lot coverage was maximized for the built space for a single story structure, the project became a serious study in right sizing each space for need that included built-in cabinetry in all rooms in lieu of conventional closet spaces. To allow for larger open living areas, a third bedroom was created in the detached studio for visiting family members. All of the exterior spaces were designed to concentrate and maximize the available land for family use- including using gravel for both drive and backyard use. The zoning required detached rear garage is also utilized to expand the outdoor connection with a rooftop deck for entertaining and stargazing. This unique home is located in the The Pinnacle subdivision in Stone Oak area in North San Antonio. It features simple yet beautiful modern features which make this house very functional and family friendly. 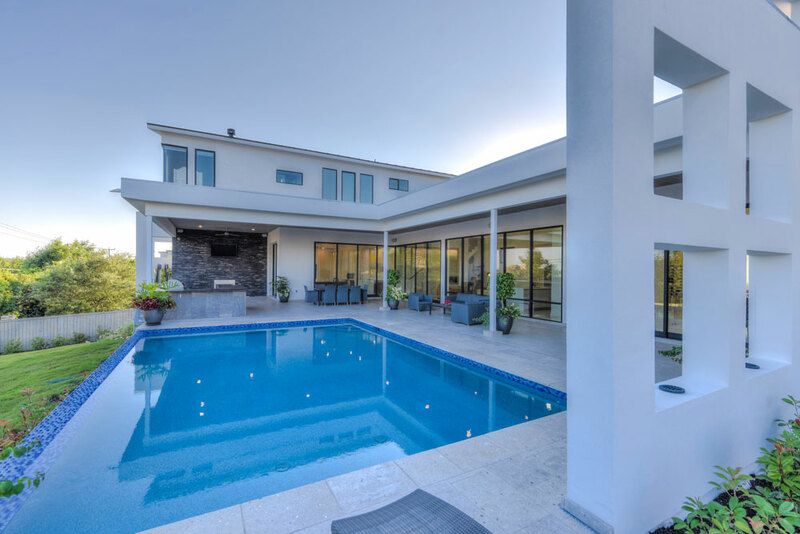 The home has a studio, gym, large playroom and computer area, also a large flex area that opens up to the outdoor living space and summer kitchen with a pool. 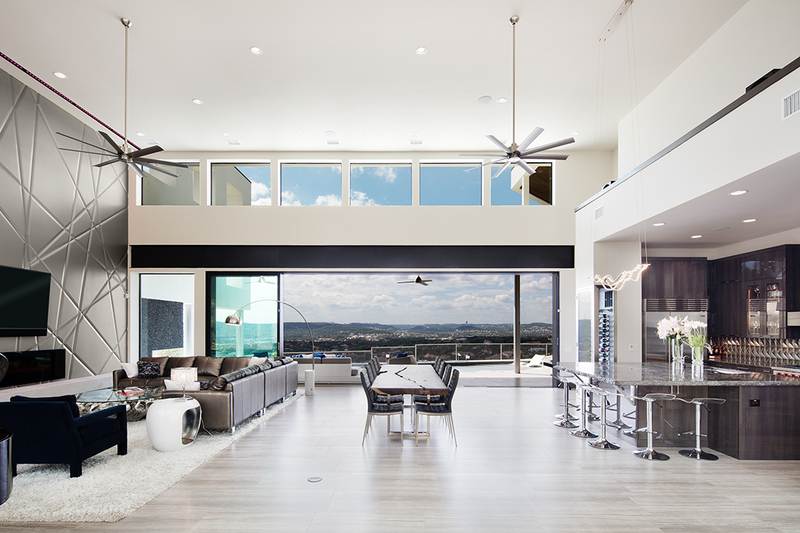 Then, at 4pm, be sure to head to Edens Canyon for an interactive talk with the architect and interior designer of Adam Wilson Homes’ latest project, where you’ll learn exactly what “modern” can mean today.